Andrew Lau and Alan Mak’s Infernal Affairs (2002) – later remade as Martin Scorcese’s The Departed (2006) – perfectly captured the thrilling paranoia of tracking down an elusive mole within an organisation. The suspension generated during the life-and-death scenarios is enthralling, with layers of mystery and character depth probing the morality of the actions of all involved. SIU – Special Investigations Unit (특수본), while competent, has none of the above. In adhering to stereotypes and generic conventions the film is somewhat of a mediocre offering, featuring a solid-yet-cliched narrative with an interesting social message at its core – one which is unfortunately brushed aside by the testosterone-fueled antics within. Cop Kim Seong-beom (Eom Tae-woong (엄태웅) leads a team of officers in protecting the streets of Seoul. The work is hard and the hours are long. When a fellow officer is found dead under suspicious circumstances, it sends a shockwave through the department and a special team is created to investigate. Joined by F.B.I trained Kim Ho-ryong (Joo Won (주원), the unlikely duo must team-up to discover the mystery surrounding the ongoing murders within the department, taking them from the lowliest drug dealers to members of government. SIU – Special Investigations Unit starts well enough; officer Seong-beom is joined by Jeong Yeong-soon (Lee Tae-im (이태임) in apprehending a criminal, initially bungling the stake-out but catching the crook through comedic good fortune, while the following tonal-change of the murder of a cop sets up the premise well. Yet herein also lies the problem with SIU – Special Investigations Unit, as the police force and the officers within it are constantly portrayed as moronic petulant fools, undermining their task of finding the mole through acts of immature stupidity. While such features are important in the excellent Memories of Murder (2003) in highlighting the lack of education and support in a real-life case, SIU – Special Investigations Unit has no such mission. Instead, officers routinely make the case more difficult through infighting, committing human rights abuses, and withholding information in order to receive credit. Chief among the perpetrators is lead protagonist Seong-beum who is incredibly hostile, bullying, and arrogant and as such is extremely unlikeable. His dislike of young upstart Ho-ryung is understandable, but his actions are intolerable as he forces his protege into violent circumstances. Ho-ryung is much more likable, although his appearance which includes fitted suits, boy-band good-looks and a quiff that would make Elvis blush seem unnatural to the environments in which he is situated. Both protagonists fair better than singular female officer Yeong-soon who, aside from a close-up of her breasts, is rarely a presence both on-screen or within the narrative. Where director Hwang Byeong-gook (황병국) succeeds however is in the creation of suspense. Action scenes in which criminals are pursued, car chases occur, and gunfights rage are competently filmed and quite thrilling, particularly a sequence which involves a forklift truck descending a parking lot ramp against the police. The narrative also includes sufficient red herrings for the audience for the audience to wonder who the mole is, although in truth the answer is rather predictable. The core social problem within SIU – Special Investigations Unit is highly compelling, as residents are forced into taking loans with interests so high they are impossible to repay with their businesses and land seized, a gritty urban take on themes within Chinatown (1974). Unfortunately such an interesting social discourse is so subsumed amongst the displays of masculinity and cliched conventions that it fails to make a substantial impact. As Seong-beom, actor Eom Tae-woong performs the role well and is convincing as the overly-proud, feisty and immature detective. Although the character is something of an irritation, Eom Tae-woong conveys the physicality of the role with gusto while his facial expressions convey his emotional state, particularly his internal-conflict, with conviction. 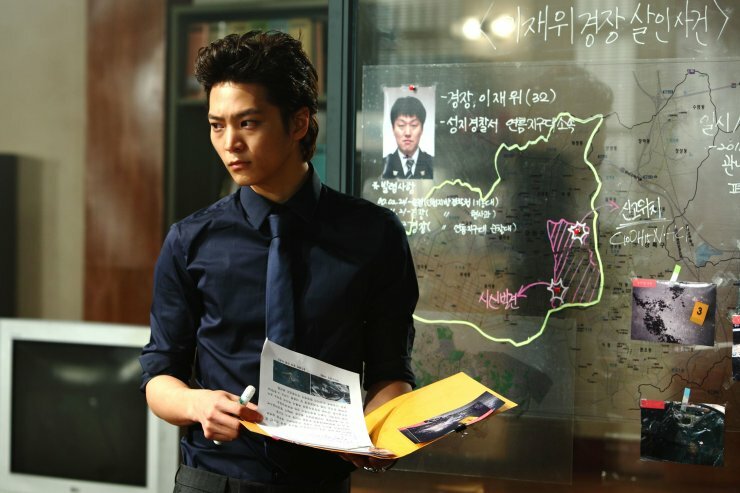 Joo Won (주원) as F.B.I trained criminal profiler Ho-ryong, is adequate by comparison as stoicism is continually conveyed even during more emotionally provocative scenes. However, the development of the relationship between them is compelling and organic, as mutual dislike evolves into allies then brothers. A solid example of the cop thriller, SIU – Special Investigations Unit is nonetheless hampered by the strict adherence to generic conventions and contrived storytelling. While action sequences are well executed and sufficient red herrings are thrown into the mix, the representation of an incompetent police force and the lack of emphasis bestowed upon the social message means that SIU – Special Investigations Unit never rises above adequate.